Rock Creek Canyon is a beautiful place to photograph! 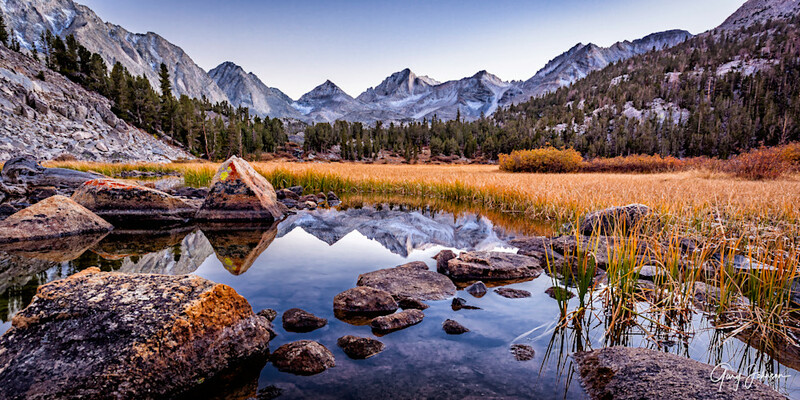 It is located in the Eastern Sierras in the John Muir Wilderness off of Highway 395, north of Bishop and south of Lee Vining. I discovered this beautiful spot where I could photograph both the near and distant reflections.